Still is intimate and, for the most part, a quiet piece, to be played for oneself as well as in concert. Still is based on the same materials as my Nine Piano Pieces (a string of 35 notes) but in a very different way--hence the title--but is an independent piece, having a different sound and texture. 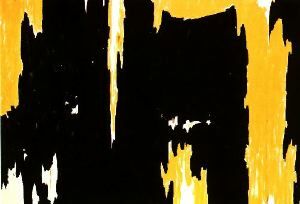 The title also refers to the artist Clyfford Still, whose paintings' silent majesty is reflected in the composition.